View More In Tablets - Page 2. 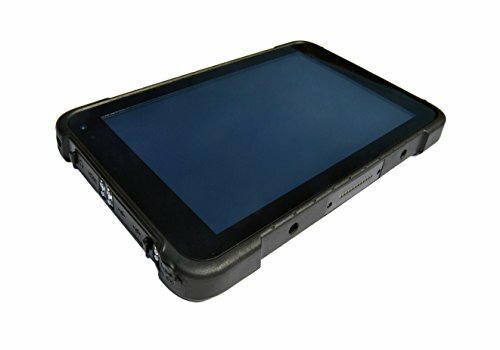 This rugged 8" tablet is ideal for wild daily use & highly mobile outdoor work in challenging conditions. Best suited for: Mobile workforce, engineers, consultants, field geologists who have the demand for real-time data reading & export; hiker, backpacker, cyclist, hunter etc. outdoors-man or summer vocation use. It is IP67 waterproof seal & 1meters drop-survival makes you relaxing using at seashore, beach, outdoor or travelling. 3G: WCDMA(900/2100MHz), GSM(900/1800MHz).--The bands work in Europe and China only. 12-months manufacturer warranty. FCC & CE certified. Comes with: rugged tablet *1, US standard power adapter*1, USB cable *1, OTG cable *1, wrist strap * 1. Ultra rugged construction & IP67 sealed, ideal for wild daily use & enterprise mobile applications such as warehouse work, land surveying, field data collection etc. Designed for mobile workforce, consultants, engineers, field geologists who have demand for real time data entry and reporting. Windows 10 Home OS. Intel Quad-core processor with speed up to 1.86GHz for smooth multiple tasks running. 2G RAM, 32G ROM. Up to 128GB expandable memory through micro SD. Bluetooth 4.0. WIFI 802.11a/b/g/n, 2.4G/5.8G dual band WiFi. Support OTG mode (Mouse/Keyboard). 8inch high definition 1280*800 IPS screen, adopting high rigidity Corning Gorilla glass panel for outstanding durability. Built-in u-blox GPS module. Support GNSS. Positioning without network required. Built in HF module, NFC supported. Integrated nondetachable 8500mAH Lithium battery. If you have any questions about this product by Vanquisher, contact us by completing and submitting the form below. If you are looking for a specif part number, please include it with your message.